In 2017, new collaborations and strong interest from the transport sector provided hope for highly-trafficked endangered species. The USAID Reducing Opportunities for Unlawful Transport of Endangered Species (ROUTES) Partnership is honored to be included in USAID's article, "Be Inspired: 10 of USAID's Best," which looks back at efforts from the past year that have resulted in some of the greatest impacts. 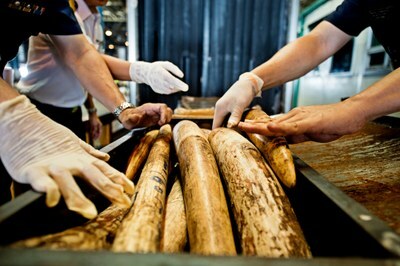 Activities to combat wildlife trafficking go beyond species protection and include efforts to fight transnational crime, contribute to the well-being of local communities, and make businesses and transport supply chains safer. The ROUTES animated video “How Aviation Staff Can Help Stop the Illegal Wildlife Trade” serves as a key resource for law enforcement, airport and airline staff, and consumers to learn more about how they can play a role in combatting wildlife trafficking in 2018 and beyond.